“Company culture” is often discussed as if it describes a static environment in which employees either thrive or don’t. But culture is created by everyday interactions, and is bound to change and evolve in any growing organization — for better or for worse. Leaders can’t decree that a company’s culture should have certain characteristics and magically make it so. But they can encourage the environment they want with processes, policies, and behaviors. 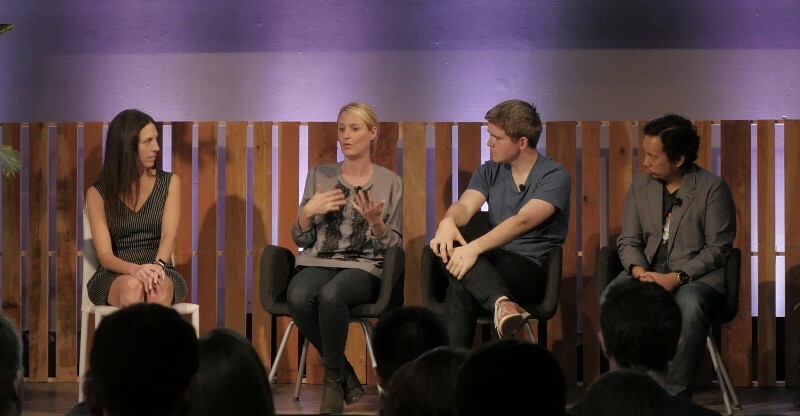 At Slack’s Amazing Teams event in San Francisco earlier this year, leaders from three companies that have had huge success and growth — Pixar, Stripe, and Planet Labs — shared their thoughts on how to invest in culture truly aligned with company values, even through growth and change. Here are some of their key pieces of advice. Everyone thinks they know what “culture” means in the context of work, but it’s actually a pretty vague term that can easily lose its meaning. Articulating what it means to you and your company can go a long way in proactively developing it. Slack’s Director of Customer Experience Ali Rayl with Cara Brennan Allamano, John Collison, and Jay Carina. It’s easy to describe what a positive company culture might look like — say, “a culture of collaboration” — but you can’t conjure it out of thin air, or reverse engineer the culture you want from broad, nice-sounding phrases. There have to be real principles behind it that support and advance your business. Pixar, for example, is well known for a culture that values creative contributions from employees in all roles at all levels. But it didn’t happen purely out of altruism — it happened because the company realized early on that what they were creating could only thrive with everyone’s ideas. Culture is the sum of individual behaviors and decisions, meaning each person in an organization can affect how it evolves. But as a company grows, it can’t rely the same way on individual actions — they have to become part of a system that empowers the team as things change. If your company has one person with deep institutional knowledge, and a handle on every process, that is a wonderful resource. But you can’t grow that at scale. At Pixar, resilience and collective empowerment comes from transparent, active communication across teams. Evie Nagy is thinking, give her a minute.